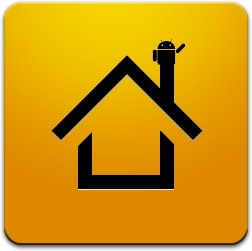 After months without either official comment or update, the author of homescreen replacement app LauncherPro has finally sprung version 0.8.4 into the Android Market. 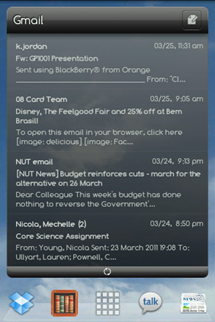 One of the smoother and more popular homescreen apps, LauncherPro offers seven screens and up to three scrollable docks, as well as Sense style full-screen widgets for paid “Plus” users, which include messaging, Facebook feeds, bookmarks, and calendars. Part-time developer Federico Carnales announced in September that a complete rewrite was in the works, which would not be based on the stock Android 2.0 launcher. Users have been waiting with bated breath ever since, with commenters growing incrementally more anxious on the official website since the last update in January. Version 0.8.4 includes a 3D app drawer for Gingerbread users, improved Gingerbread performance, a new Gmail widget for Plus users, Facebook login through the official app, and 2 new transitions. The new widget allows selection of the source account, so each of your Gmail accounts can have their own widget. 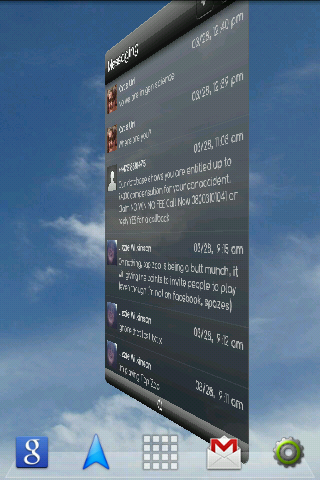 Two new homescreen transitions, Flip and Rotate 2, allow users to select from a grand total of six. In other news, updated T&Cs for the Android market mean that Fede will soon no longer be able to sell LauncherPro Plus through Paypal. Because of this, Plus will be available through the Android Market, and current users will continue to receive updates.